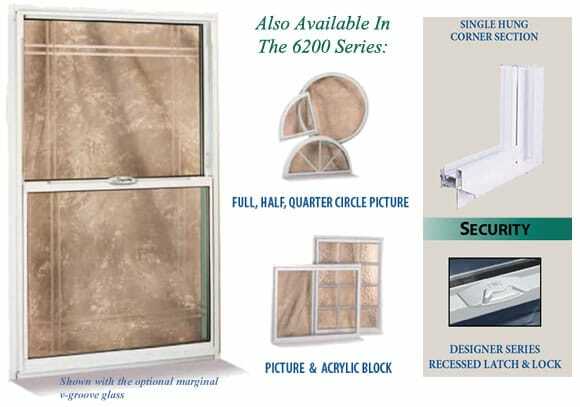 6200 Series Aluminum Windows » Yellow Dog Windows, Inc. Yellow Dog Windows, Inc. THE SINGLE HUNG ALUMINUM WINDOW is the premier product in the Imperial Series. These aluminum windows feature a fixed panel and a lower sash panel that gently glides to a ventilating position. The sash panel tilts inward, making exterior glass cleaning a breeze. For your convenience, the design incorporates a simple-to-use latch and lock mechanism. 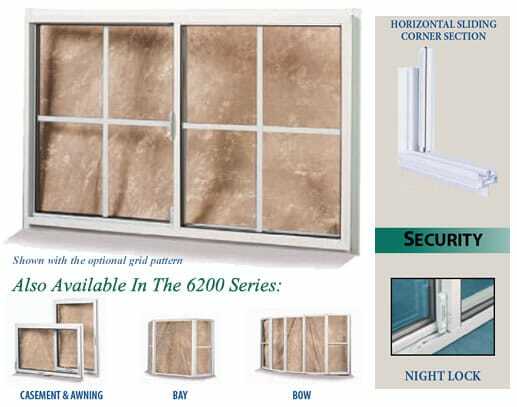 THE HORIZONTAL SLIDING WINDOW has been a longtime staple of contractors and builders. This window accents virtually every room in the house. The Delrin rollers ensure smooth operation. Our safety features include a simplified latch and lock system and a secondary NightLock, which enables the window to remain in a locked position while providing 2” of ventilation.